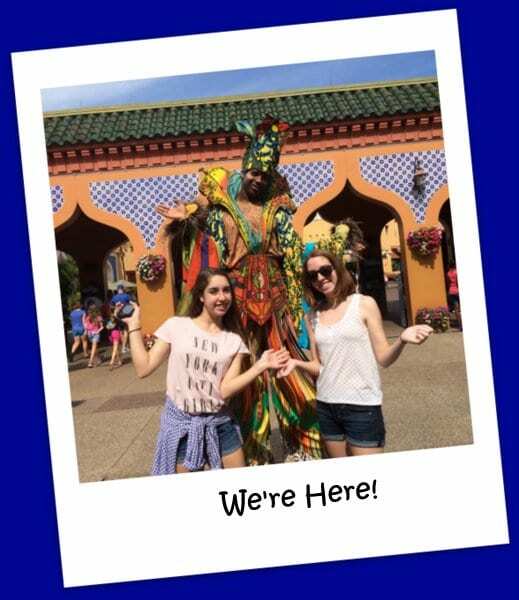 We escaped to Busch Gardens and beat the back-to-school blues! Check out pictures from our adventure…plus a recipe for truffles shaped into cute little animals! 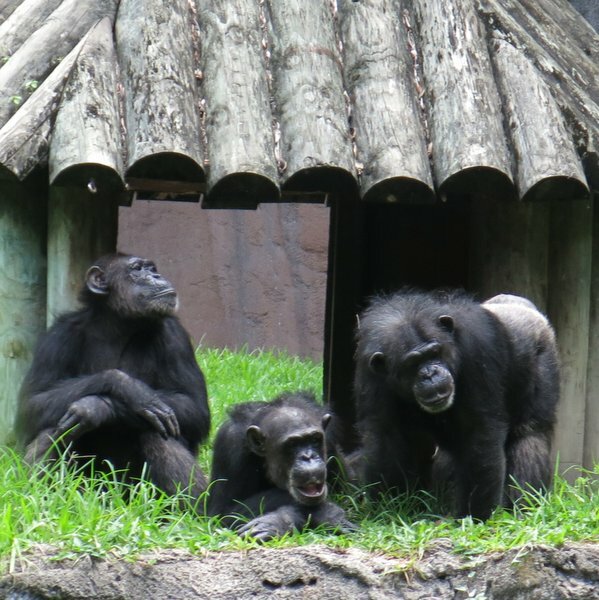 I know what you are thinking…NO WAY did she get a picture of chimpanzees posing like that…it must be a post card. Look at the rest of the gang! LOL. 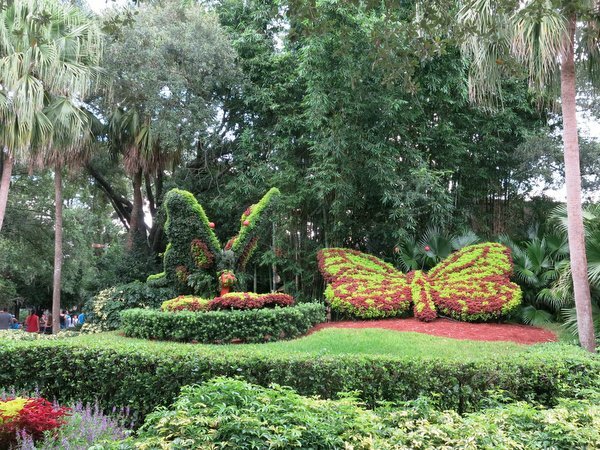 That’s just about how I felt when I took this picture at the end of a fun-filled day at Busch Gardens in Tampa, Florida…a very successful trip that made everyone forget about the upcoming school year hustle and bustle that was looming. We arrived just as the gates opened and there was an air of festivity right from the start. Music is playing in the background too! The girls planned our day. So…we did every single thrill ride at the park. Not kidding. My girls mapped out a route and we kept up a good pace. Our entire family loves roller coasters and the girls couldn’t believe how many “good” rides there were! The funniest comment was about Gwazi! Keep in mnid, this was their first ride on an “old-fashioned,” wooden roller coaster. Previously, they had only experienced roller coasters that go upside down. Wow. That was unexpected. I thought is was going to be really slow and boring. But, instead it went really, really fast. It was scary. I didn’t think it would be that fast without a seat belt. Or, see an alligator of this size? 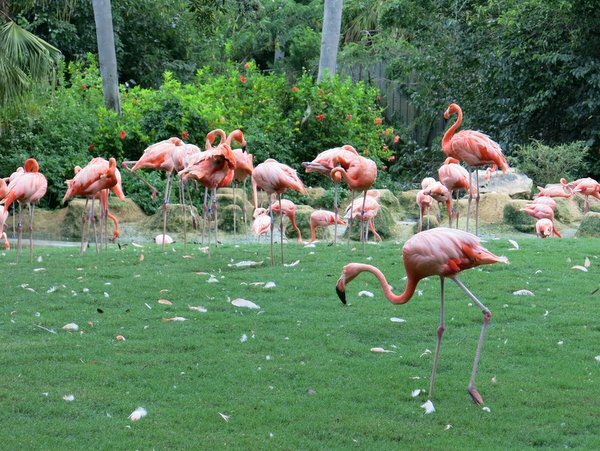 I just had to include a picture of the flamingos. Aren’t they pretty? We had hoped to stay for the Summer Nights concert but mother nature had other plans..so we headed home. We ended up watching Cher Lloyd on the Teen Choice Awards this week. 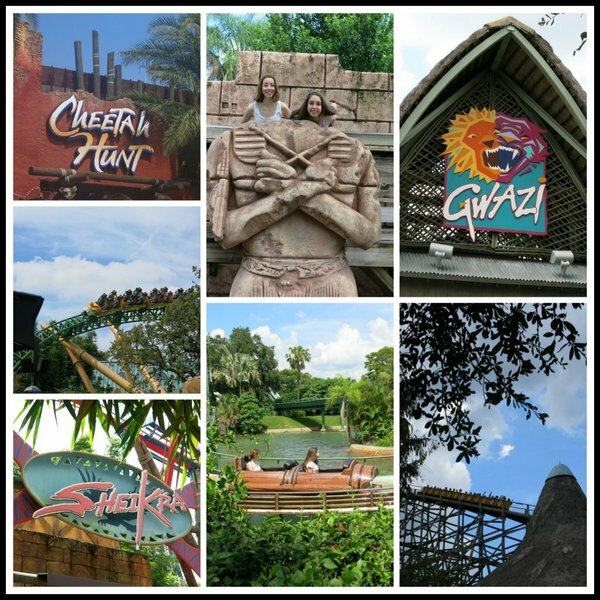 This trip was all about thrill rides and animals…but, there is so much more to do at Busch Gardens which is why I’m so excited that there is a Part II to this story. Stay tuned. 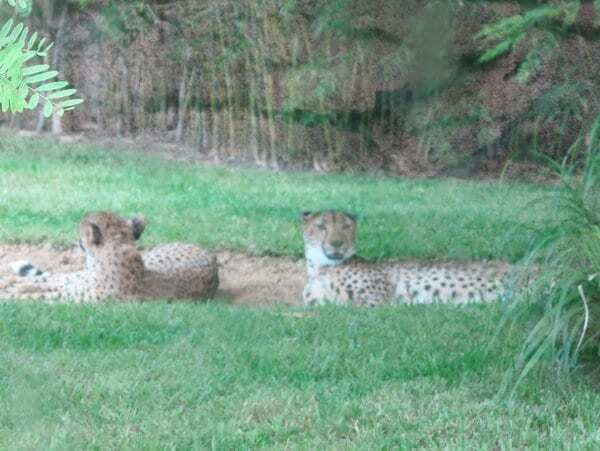 Disclosure: Busch Gardens gave our family complimentary tickets to the park. I was not compensated for writing this post and the opinions expressed are entirely my own. Mission accomplished. Our escape from reality was complete! How about some food fun? We made an easy truffle recipe the next day. Since we still had Busch Gardens on our minds, we shaped the dough into animals. Powder them with sugar or roll them sprinkles. They are delish! 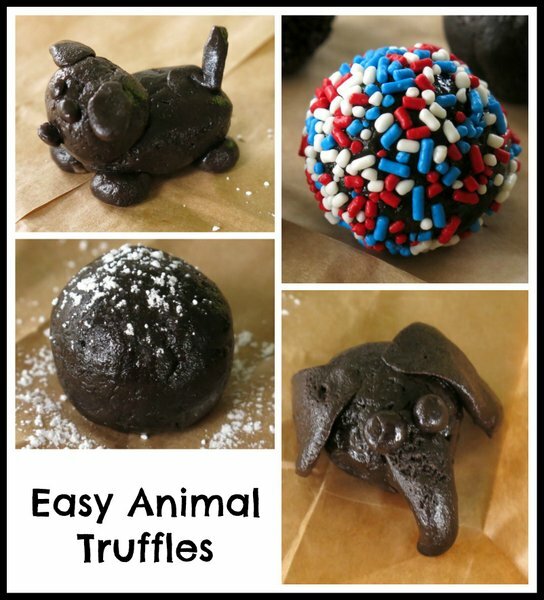 Make animal figures with the dough of this easy truffle recipe. Or, just top these creamy, cheesy balls with powdered sugar, sprinkles or melted chocolate. Optional: powdered sugar sprinkles or chocolate. Thoroughly mix the cookie crumbles with the softened cream cheese to form a dough. Refrigerate for several hours or until the dough is firm. Form dough into balls by rolling it with clean hands. Dust with powdered sugar, roll in sprinkles, drizzle with melted chocolate or make animals. To make animals, form dough into balls of different sizes and then press together. Eat immediately or store in the refrigerator or freezer. If coating with melted chocolate, for best results, store shaped balls in the freezer for several hours before dipping in chocolate. Think play dough if you decide to make animals. Using logs or snakes or balls of dough in different sizes, you can come up with lots of fun designs. What a fun vacation! Love those animal truffles as well. So cute! These are the coolest thing!!! Soooo creative! Oh my goodness…. look at that alligator!! 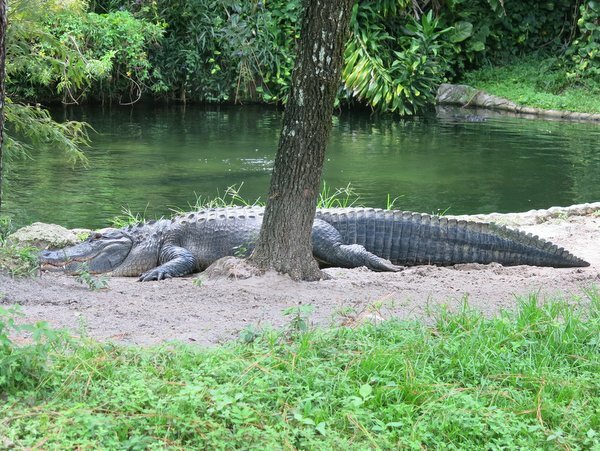 My husband says he wants to retire in Florida, I hear they have lots of alligators there and NOT in a zoo! And how cute are those truffles?? Not sure I have the patience, but my daughter does. Love them! Okay, this post is beyond adorable…and the treats look yummy also! 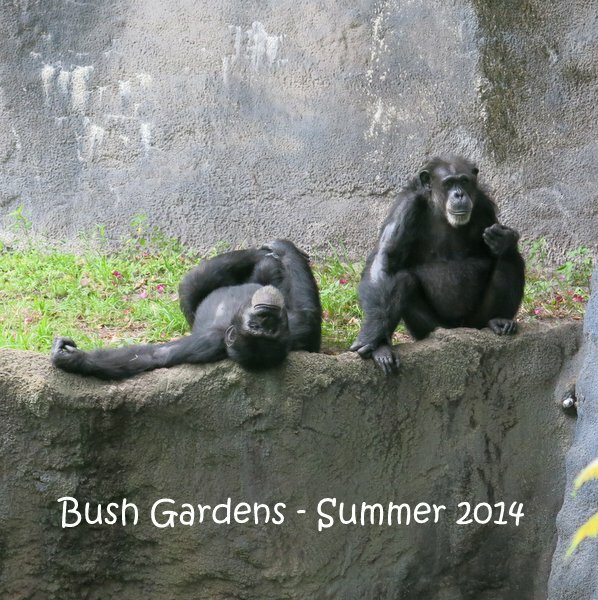 I love Busch Gardens! Such a fun vacation! And these animal truffles are too cute! 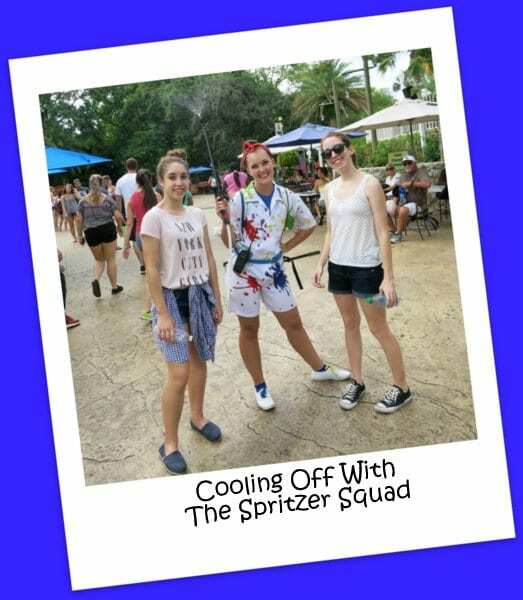 Sounds like Busch Gardens was a fun time for all! 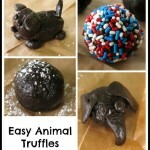 Love the animal truffles idea! Looks like you had a great time and the animal truffles are super cute! Those truffles are adorable. Looks like a great time! This looks like so much fun! 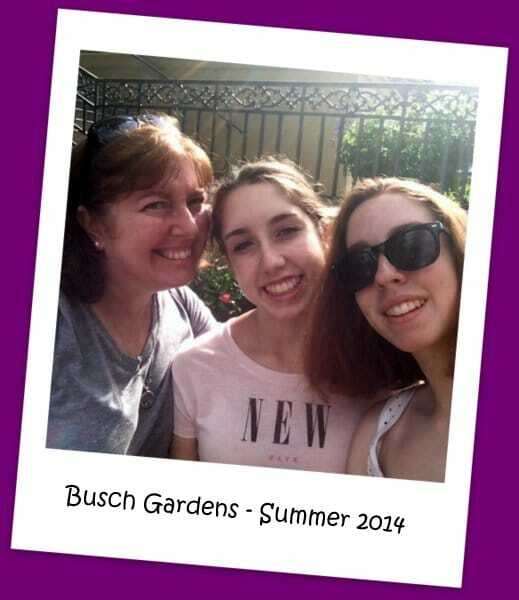 I haven’t been to Busch Gardens in YEARS! I used to go to the one in VA. Looking at your pics brings back so many memories. PS: the truffle animals are adorable. What a fun vacation! A gator – You saw a gator!! Soooo coool! 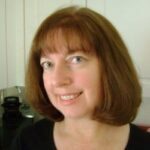 I love your animal truffles – So dang cute! Can’t wait for Part 2 of your adventure! We were just talking about Busch Gardens this weekend. I’ve never been, but it looks so fun! Those truffles are too cute.